Christmas bell chocolate molds. Chocolate christmas bell molds online. We produce for Italy and abroad lineaguscio christmas bell. 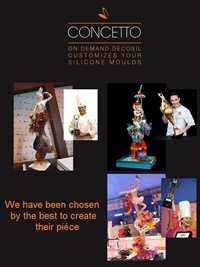 Italian leaders of silicone moulds, we create and sell for over 10 years lineaguscio christmas bell, food safe silicone moulds worldwide to confectioners, bakeries and Delicatessens. Do not hesitate, your choice is right! Buy online chocolate Christmas bell molds. 3D silicone molds Made in Italy, for fondant Christmas bells.